Most mornings I make this smoothy for breakfast. I have come to really like it. This drink was recommended to me by the doctor who finally solved the mystery and realized I had EDS. He named it, “Dr. 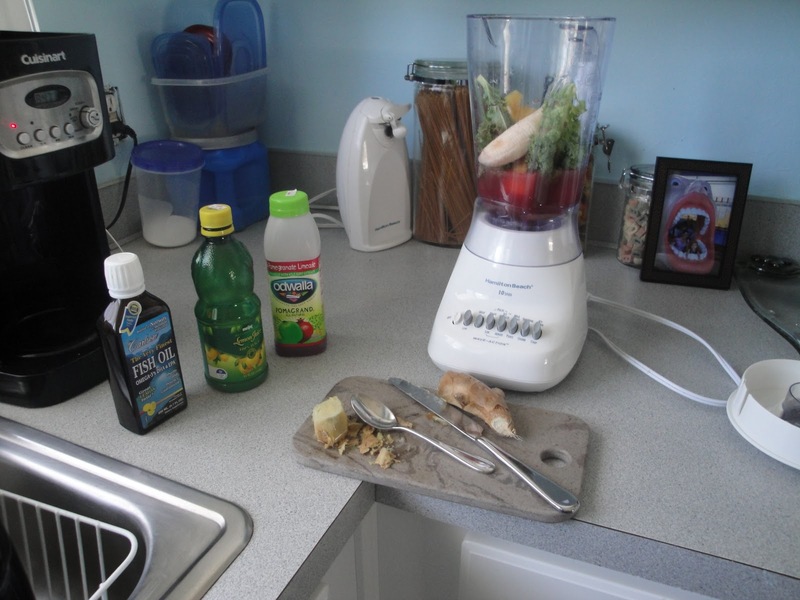 Joe’s Magic Potion.” He explained that it has many “power foods” that can help bring down inflammation in the body. He is a pain management doc (physiatrist), and told me that he has had luck helping some people’s pain with this drink over regular pain meds. 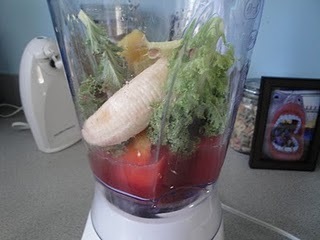 I have always had a hard time getting in my daily fruits and veggies, so incorporating this into my diet has helped. Plus I think out of all the ingredients, the ginger root and the fish oil are probably the most beneficial ingredients for me. I have felt at times that the ginger root has helped calm some of my muscle pain and GI issues. The fish oil helps with circulation and is also another powerful anti-inflammatory agent. Then you just blend everything up. 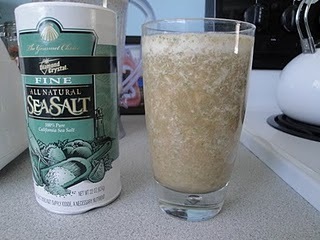 I add a good amount of sea salt to the last half as I drink (for my POTS). I chug that last half fast since it’s not as tasty with all the salt! It looks kind of yucky but it really doesn’t taste bad. 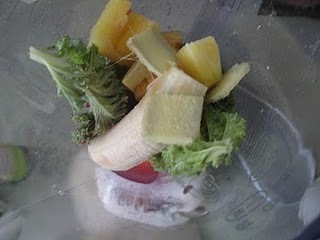 And for budget purposes, kale, bananas, and ginger root are cheap! It is easiest for me to peel the ginger root with a spoon. Then I cut it up with a knife before I add it to the blender. Also, I find putting the ginger root in the fridge keeps it fresher longer.